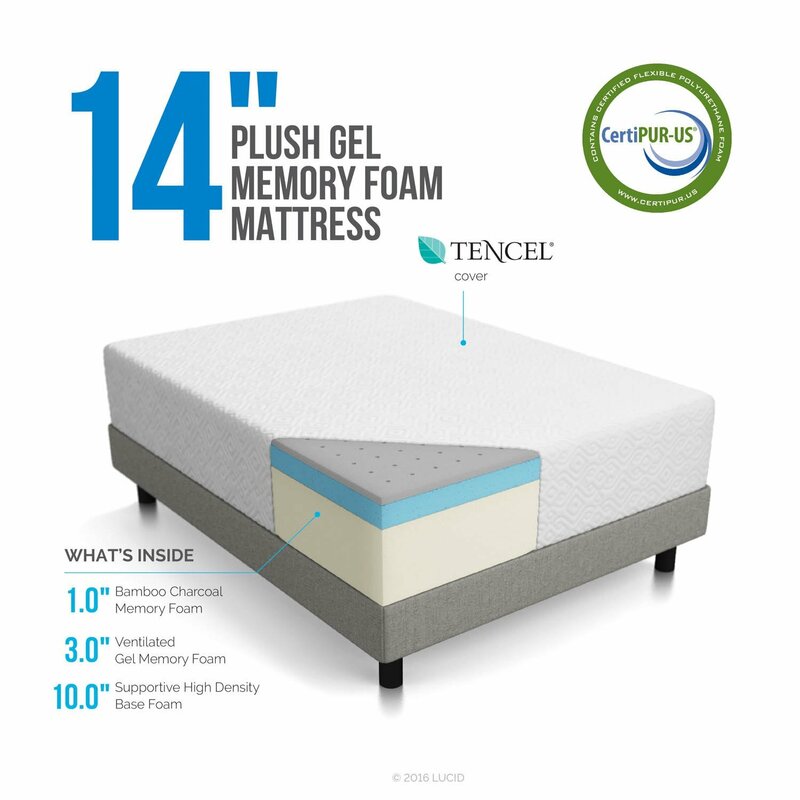 Lucid gel memory foam mattress is perhaps the only gel memory mattress in the entire industry that offers comfort worth your investment. Priced low and high on performance, Lucid memory foam mattress has earned highest number of 5 star user reviews. And I have taken pride in recommending this mattress to friends and family, who have been looking to replace their mattress with a memory foam mattress or for those who have been suffering from back pain for a long time. This coolest mattress comes in 4 different versions and about 9 different sizes. 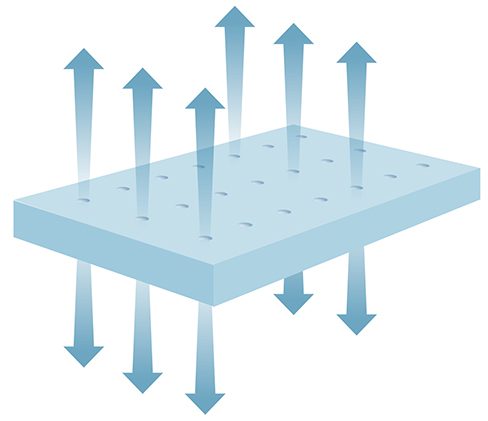 As depicted in the picture, the 10 inch mattress has dual layer construction. Fabric: The surface fabric is TENCEL blend made 10% TENCEL lyocell and 90% polyester. It is a soft and breathable layer. 12 inch memory foam mattress has triple layer construction. Now let’s see the features and benefits of each of these layers. Tencel blend fabric’s primary duty is to absorb body moisture. If you have ever been sleeping on a mattress without a cover, you might have surely noticed dirt accumulating on the top surface. This is the result of humidity and sweat from our body. Tencel fabric absorbs sweat from our skin and keeps the top surface moisture free. It is meticulously made to be breathable so that the cool gel effect from beneath layer flows to the top surface and helps us enjoy a comfortable sleep. Although the fabric is washable but removing it off the mattress might be a tad difficult. Perhaps, in my view this is the main layer as it is infused with cool gel beads. The primary task of this layer is to regulate heat from our body. It absorbs body heat, draws it downwards, distributes it evenly.across the entire mattress area. The gel beads in turn pump in the much needed cooling effect through the pincore holes as depicted in the image here. Thanks to the pincore ventilation design that allows quick air flow and effectively stops the mattress from heating up. As the layer is made from responsive memory foam it perfectly aligns with your body curvature and provides even sleeping surface. This very feature helps the mattress align with the pressure points on your body especially around head, shoulders, neck and spine. It is perfect for back pain relief that is otherwise a common problem with those sleeping on spring mattresses. The foam quickly gets back to its even shape the moment you get off the bed. No sinking or sagging prints remain even after regular usage. This memory foam gel mattress additionally provides the much important motion isolation feature. When you or your sleeping partner move in the bed or get in/off it, there won’t be the annoying motion transfer disturbances as the layer quickly conforms back to its original shape. Lucid 10 inch Mattress: It is medium firm. Lucid 12 inch Mattress: It is medium plush. This 1 inch bamboo charcoal layer is infused between the top gel layer and bottom high density foam layer in Lucid 12 inch gel mattress. However, this layer is not included in Lucid 10 inch version. Although it acts as a support layer but bamboo charcoal has a lot more to do with overall performance. It is vital and has traits of being anti-bacterial, hypoallergenic, prevents mildew formation and absorbs excess moisture, sweat and odor. The bottom or base layer is 8 inch thick and made from high density foam. This provides the ultimate firm support required for the mattress to be in right shape while providing maximum comfort. While the top layers are comparatively soft and solely designed to provide comfort, the base layer is purely intended to provide maximum support. Thus 7.5 inch high density foam is selected so that you do not sink into the mattress. In 12 inch mattress this high density foam layer is 8 inches thick. Durability check is a must for any mattress. For Lucid at least, you really need not worry about this aspect as the material used is of high quality and the manufacturing and stitching together of all layers is picture perfect. The TENCEL cover comes with nice finishing and soft feel. With a zipper to wrap the mattress, it leaves absolutely no scope for loose threads or stitching flaws. The high density base foam is on the firmer side and won’t sink or sag for many years even if used on regular basis. For better results, rotate the mattress once in a while. 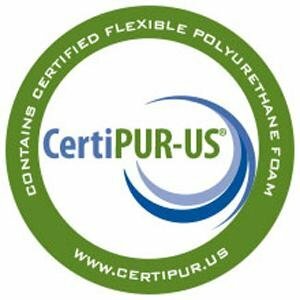 The top layer as mentioned earlier is made from responsive memory foam and the entire mattress foam is CertiPUR-US certified. Although the top layers in both 10 inch and 12 inch Lucid mattresses are plush with right amount of sink, about an inch or so when you sit on it but the bottom high density layer is comparatively firm. This is the very layer that provides perfect edge support removing the fear of you sliding downward while sleeping on the edges. The 12 inch version offers additional edge support compared to the 10 inch mattress. The mattress comes in a rectangular box, dual rolled in plastic and vacuum sealed. The instruction manual is intentionally placed right on top for your read thoroughly before you start setting it up. The mattress is dual wrapped, open the outer plastic layer and the mattress will unroll. The second layer holds the flat mattress, compressed. The moment you open this layer, the mattress starts expanding. 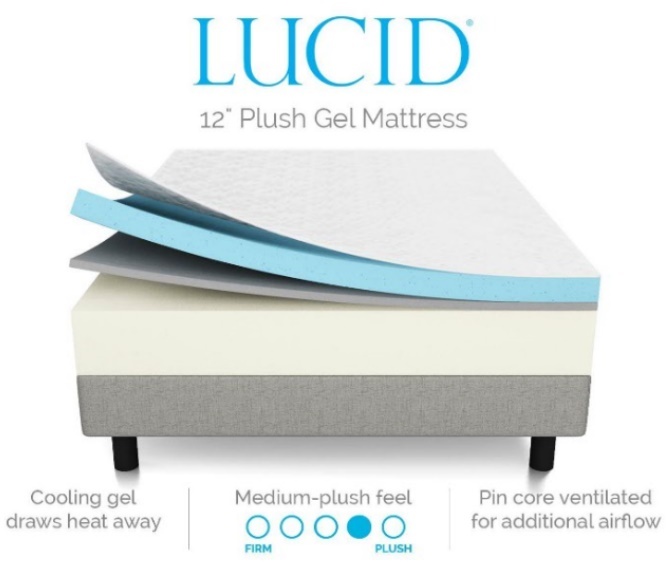 Although gel mattresses take anywhere between 24 hours to 48 hours for full expansion, Lucid 10 inch mattress reaches nearly 8 inches within an hour or two from the moment you open it. However, I personally suggest you wait for at least 48 hour window period for full expansion. During this period, please ensure that you avoid sitting or lying on the mattress. In case you open the mattress on the floor and plan to move it to your bed frame after inflation, please bear in mind not to bend or fold the mattress in the middle. Read all instructions carefully before you start setting it up. The instruction manual is placed right on top of the rolled mattress within the packed box. So, don’t be in a hurry. Spending few minutes reading through the manual will help keep your bed durable for many years to come. In freezing winters the mattress might take more time for expansion but not more than 48 hours if you can manage room temperature. Fully inflated mattress is on the heavier side but not as heavy as traditional spring mattresses. Moving or rotating it is not a difficult task. Gel mattresses release an unpleasant odor while expanding which usually stinks for few days before allowing you to enjoy sleeping on your favorite mattresses. However, Lucid gel mattress doesn’t carry any such chemical or unpleasant odor. All it smells is like a brand new mattress which lingers for a while and the odor is not at all outrageous. It should vanish within hours of expansion. Just turn on the fan or open up the windows for quick results during expansion phase. User reviews have strongly supported this mattress for relieving back pain. 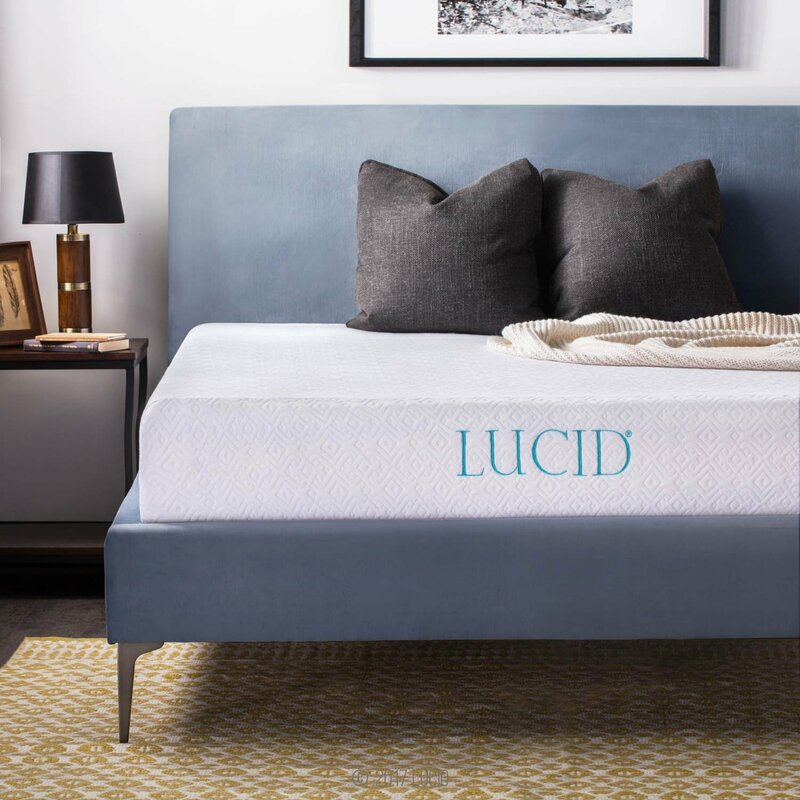 People who switched to Lucid mattress have experienced steady improvement. With each night’s sleep as per a user, her hip pain was gone and she didn’t even notice the agonizing back pain while driving to work daily. Best mattress for back sleepers and side sleepers. Lucid 10 inch version is best mattress for stomach sleepers as well as it provides adequate firmness around your belly. All in all, I would recommend this mattress for everyone who wishes to avail a gel memory foam mattress. Comfort wise Lucid mattress is perfect for side sleepers, back sleepers and for those having back pain issues. Budget wise I would say this is something that you can bet on. Much less on price when compared to other plush mattresses, offers more or less the same comfort level and above all it lasts really long. Long enough to make you happy that you got your money’s worth. 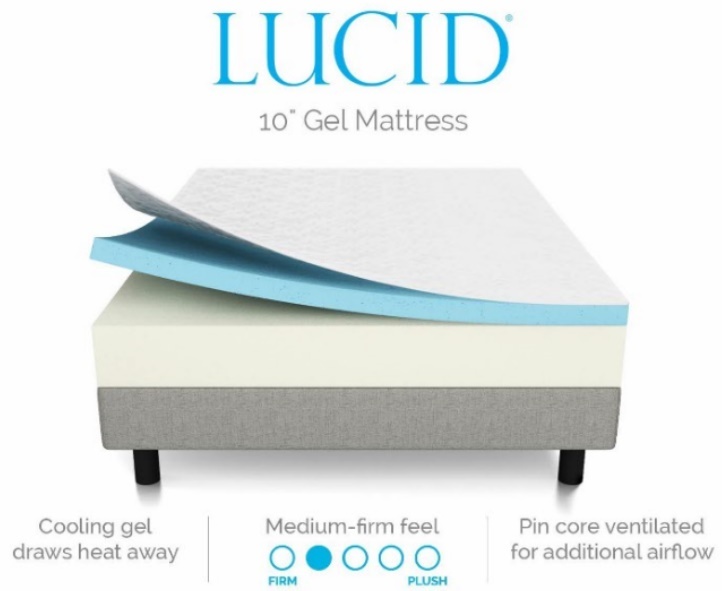 For those who have complaints with odor of gel mattresses, Lucid mattress is something you can’t ignore. It doesn’t stink, the brand new mattress smell vanishes within few hours. Inflation wise, the mattress will expand to its maximum within 24 hours in most cases. So you need not wait long to enjoy a comfortable sleep on your new mattress. Go ahead and we wish you all the best with your choice!! Although the layer construction is similar to 10 inch version but it comes with an extra 1 inch bamboo charcoal infused layer. In addition, the size of the high density (HD) base layer has also been increased from 7.5 inch to 10 inch and the 2.5 inch cool gel mid layer is now 3 inch thick. This offers extra cooling effect to sleepers. This layer construction is in line with the 12 inch version. However, the base HD layer is increased by 1 inch and stands at 9 inches. Whereas, the mid-layer 1 inch bamboo charcoal layer is now 2 inches and the size of the top gel infused ventilated memory foam is not changed and stands same 3 inches size. I believe that both the 14 inch versions are built for people with above average weights. This is why the size of base layers has been increased in both the versions. Plush version: And if you looking for some extra comfort on the sleeping surface then you can opt for the Lucid 14 inch Plush version. In this, an additional 1 inch bamboo charcoal layer is added to 3 inch gel infused layer. Gel version: But if you are happy with the firmness of the 12 inch version, but want a clone of the same with higher specifications then simply opt for Lucid 14 inch Gel version. Extra 1 inch has been added to both the mid bamboo charcoal layer and base HD layer.